At a certain point, ordinary words can no longer take us where we want to go. to enter into a dialogue with the divine. the individual who repeats them. it is filled with the power of that being’s attainment. Chanting is a natural way to tune in to the frequency of love. words and sounds that vibrate at the highest level of awareness. or chanting sacred Sanskrit texts have a tangible effect on our own inner being. The sweetness of chanting stills the mind, dissolves worries, and opens the heart. The saints describe chanting as a way of becoming saturated with God's love. 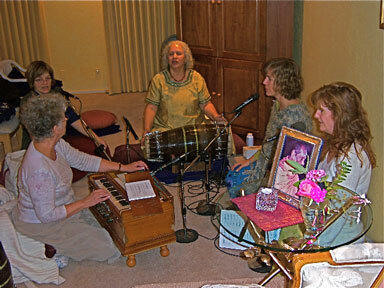 Chanting gives us direct access to the spiritual world. It balances our subtle energy system, allowing for deeper meditation. sometimes with recordings of Gurumayi and sometimes with live music.